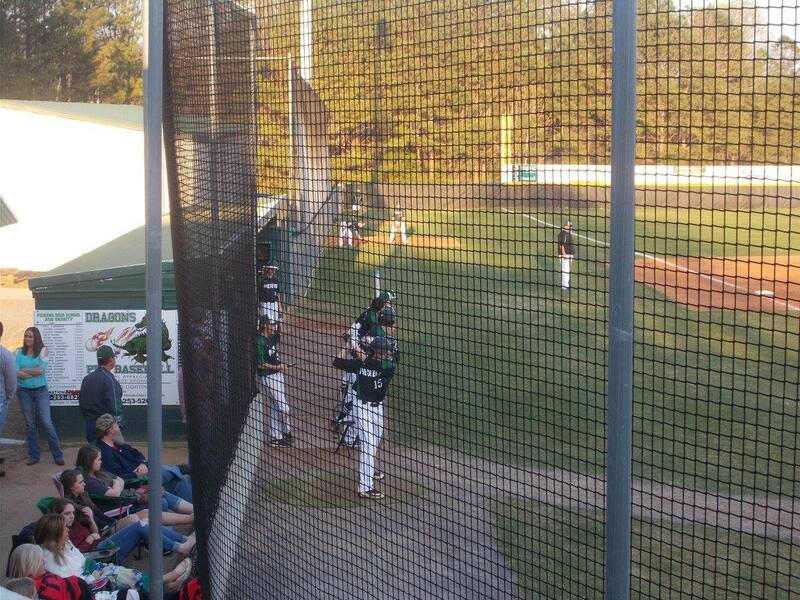 This past Friday, the PHS Dragons baseball team traveled down to Atlanta to take on the #3 seed out of region 6-AAAA, the St. Pius Golden Lions in the first round of the 4A State Tournament. This was a 3-game series meaning the team to first win two games, advanced to the next round. 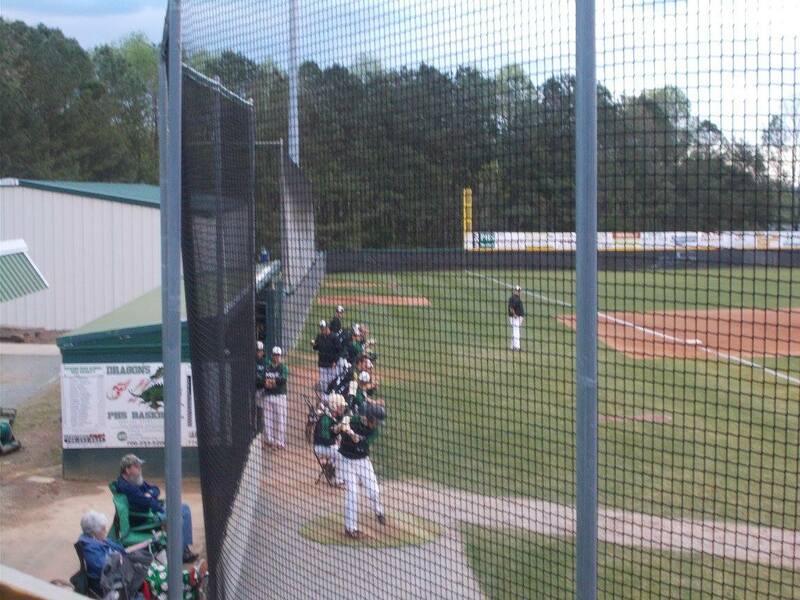 The Dragons were the away team in game 1 and were looking to jump out early on the Golden Lions. Travis Huffman led things off with a double to left center on the first pitch he saw, firing up the Pickens dugout. 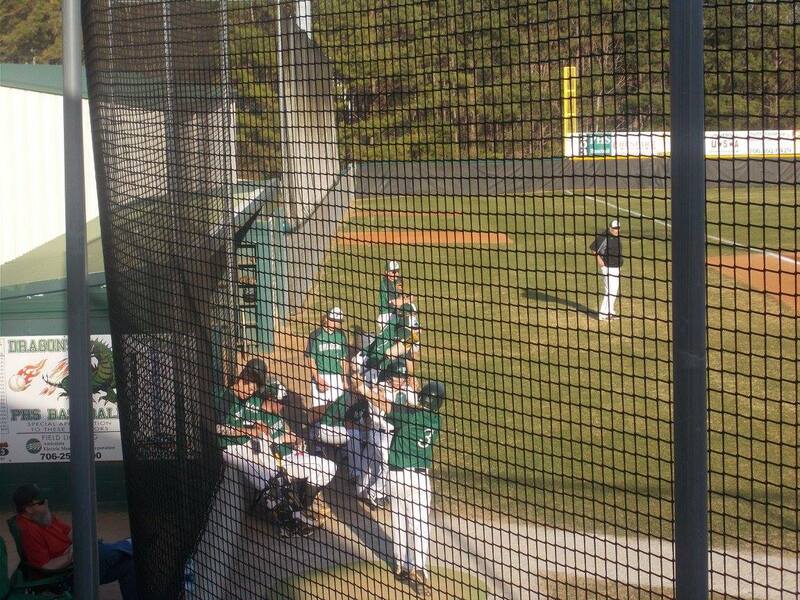 Tyler Garner then cranked out a two-run bomb bringing the Dragon faithful to their feet as Pickens took a 2-0 lead. Not to be outdone, Dalton Presley found a pitch to his liking and sent it over the left center fence to make it 3-0 after one half inning. St. Pius got a run in the bottom of the frame, and after 1, the Dragons held a 3-1 lead. Both pitchers were able to get out of jams and settle down for the most part to the 5th inning. The Golden Lions were able to plate 4 in the bottom of the inning to take the lead, 5-3. St. Pius then added on to that lead in the bottom of the 6th with 3 runs to stretch it out to 8-3 going to the 7th. The Dragons tried to get a rally going after a hit by pitch, a single, & an RBI single from Dylan Huffman, but it would not be enough as the Golden Lions took game 1, 8-4. 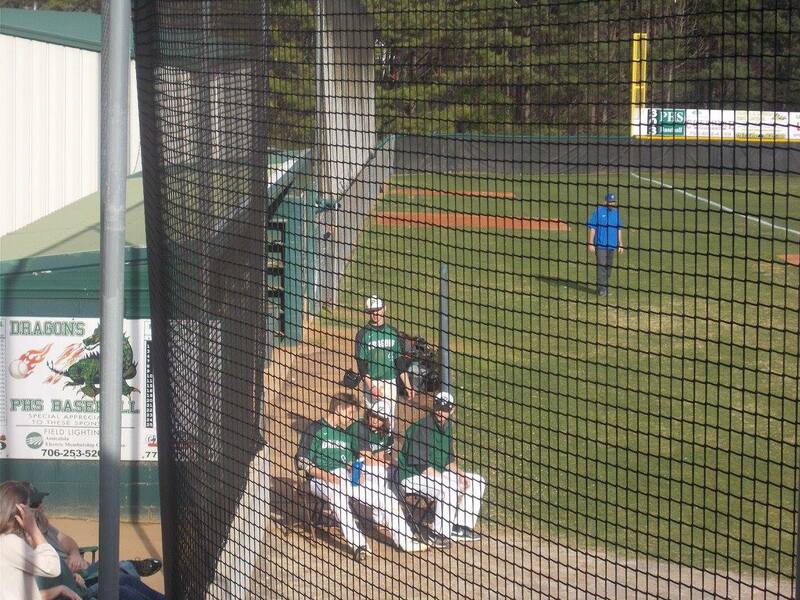 For game 2, the Dragons were the home team and West Ga commit Tyler Garner would be given the ball to pitch for Pickens. Garner got off to a good start, retiring the Golden Lions on 16 pitches. For St. Pius, Ga Tech commit Garrett Gooden took to the mound and proved to be as tough as advertised. In the top of the 2nd, the Golden Lions struck first with a two-run home run to go up 2-0. St. Pius added to that lead with 3 in the 3rd, to make it 5-0. The Golden Lions stretched out the lead with three in the 5th to make it 8-0. St. Pius went on to get the win 8-0, and taking the series in the process, 2-0. The Dragons just could not get anything going only drawing two walks and getting a lone hit from Garner in game 2. Pickens finishes the season at 16-11, and with a 2nd straight state tournament appearance. While the Dragons are losing a handful of seniors, they will be returning a big chunk of core guys with a lot of varsity experience and adding young kids that had success during the JV season for next season. 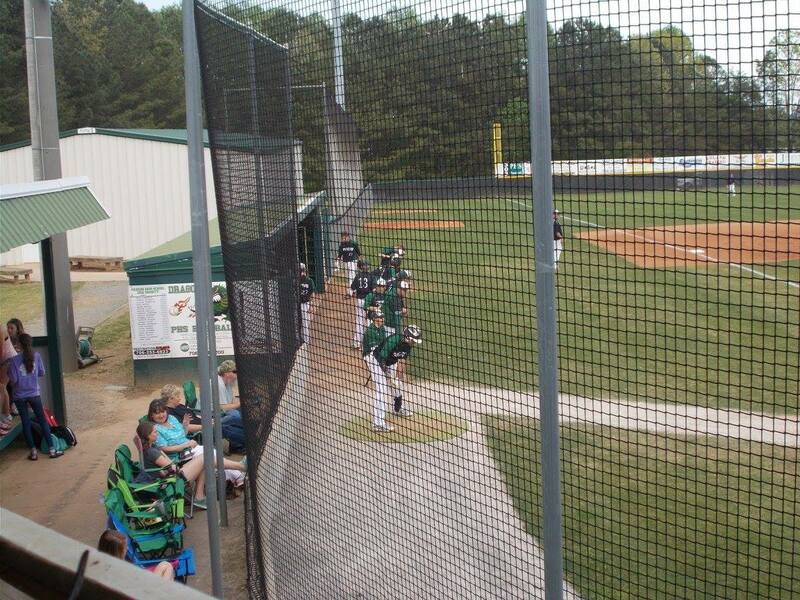 Yesterday, the PHS Varsity baseball team hosted the Generals of Heritage at Dragons Field. There were also some very special attendees at this game as 6 MLB scouts came to watch the Generals starting pitcher, Dylan Bice. This was the third game in three days for Pickens as they fell to Southeast Whitfield on Tuesday, but came back Wednesday to defeat Ridgeland 7-2. Both games on the road. Junior Travis Huffman was tasked to take on the Generals in this ball game. Heritage struck first early on as they were able to get a run on two hits. The Dragons were sit down in order as we’d go to the 2nd, with the Generals up 1-0. After Heritage went quietly in the top of the 2nd, a one out walk drawn by Walker Lawrence came in to score as Wyatt Gooch hit a single to left field that got by the left fielder. As we headed to the 3rd, the game was neck and neck at 1-1. The game would not be tied for long as Heritage was able to plate two runs in the top of the 3rd to retake the lead, 3-1. With the score now 4-1 in favor of the Generals in the bottom of the 6th, Lawrence drove in Dominic Stephens on a two out RBI double. Pickens then loaded the bases with two straight walks, but were unable to bring in any other runs as the Generals got out of the big time jam. Going to the 7th, Heritage led things, 4-2. Bice helped himself out in the top of the 7th with a three run homer to right, making things 7-2. A one out single from T. Huffman was all the Dragons could manage in the bottom of the frame as Heritage would take this one, 7-2. 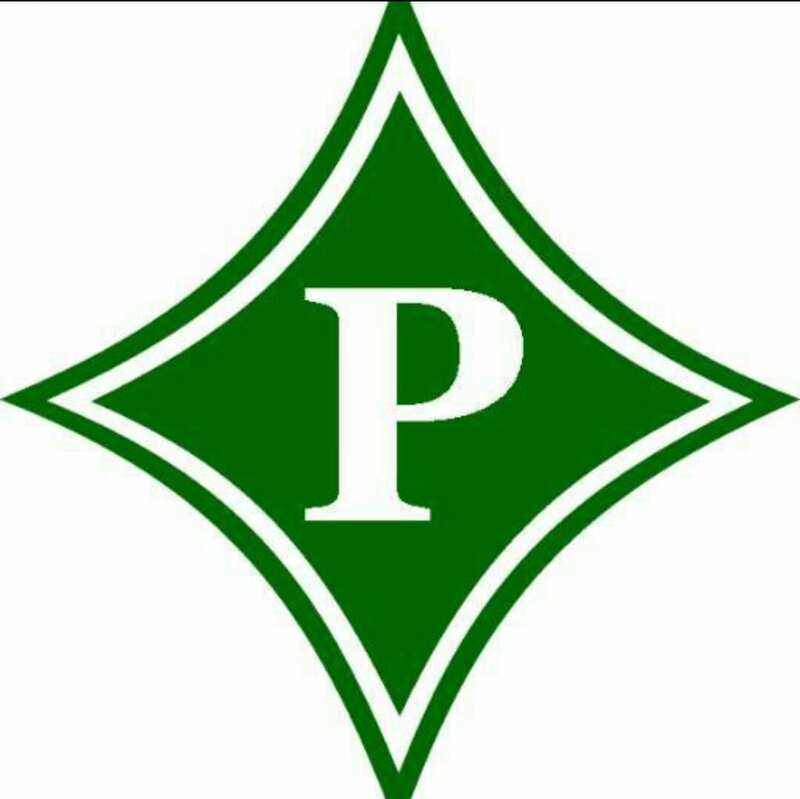 Pickens is now 12-8 overall and in 4th in 7-AAAA at 5-4. The Dragons have a tough week next week with three region games all on the road. The week starts at Cartersville on Tuesday, then at Northwest Whitfield on Thursday, then a battle with 515 rival Gilmer on Friday. All games have a first pitch time of 5:55. 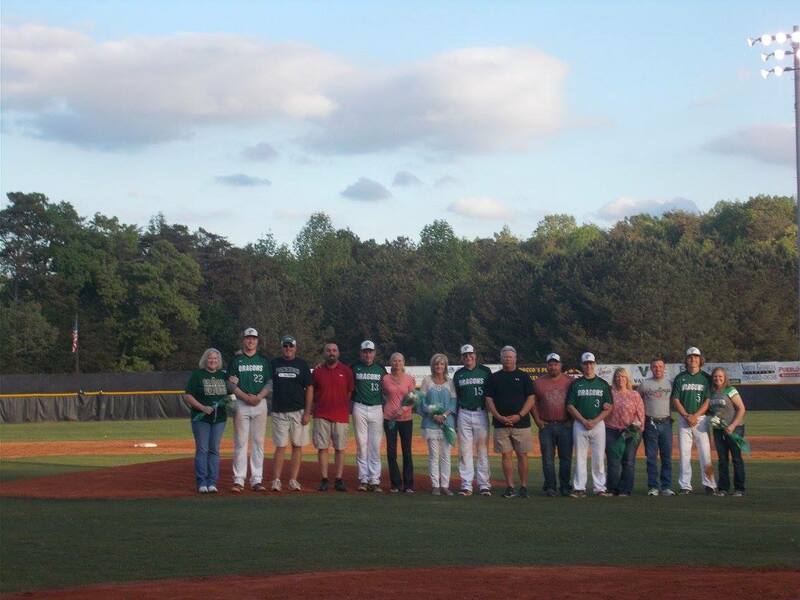 Last night, the PHS Dragons varsity baseball team hosted one of the highly rated teams in the state, the Cartersville Purple Hurricanes, in a big early region match up. The Canes came into the ball game at 6-6 and 2-0 in region play, while the Dragons came in with a record of 9-5 & 2-1 in region. Travis Huffman got the start for the Dragons and turned in an amazing performance. In the top of the 1st, Cartersville was able to take the lead early as three hits, and a couple passed balls led to 2 runs for the Canes. Pickens, had it’s chance in the bottom of the frame as they were able to get two runners on with two out, but Cartersville was able to get out of that jam, and send us to the 2nd, with the Canes up, 2-0. T. Huffman was able to settle down in the 2nd, and get Cartersville in order to send us to the bottom of the 2nd. In what seemed to be a theme throughout the game, the Dragons had a big chance in the bottom of the 2nd with the bases loaded, but were unable to capitalize as the Canes escaped the threat. T. Huffman again showed great stuff in the 3rd, as he K’d two Canes on the way to a 9 pitch inning. In the bottom of the 3rd, Pickens had another chance to cut into the 2-0 Cartersville lead, but runners were left at 1st & 3rd, sending us to the 4th. Both teams were shut down quietly in the 4th, as both pitchers were throwing great games. In the 5th, Cartersville left a runner at 2nd, as T. Huffman was able to work around it. After drawing two walks in the bottom of the inning, the Dragons left runners at 1st & 2nd, sending us to the 6th, with the Canes still leading, 2-0. Both teams were unable to get anything going in the 6th, as we’d head to the final inning, Cartersville maintaining it’s lead, 2-0. T. Huffman k’d two in the top of the 7th, sending us to the bottom of the 7th, Dragons down to their final three outs, and trailing 2-0. After Tyler Garner & Dalton Presley were able to get on, they were replaced by courtesy runners, Dylan Huffman, & Caleb Brooks. Walker Lawrence then got on with a single to load the bases. Zack Moore then brought in D. Huffman with a sac fly to make it 2-1 Cartersville. As Brooks was attempting a steal to 3rd, the throw over to 3rd sailed over the 3rd baseman’s head and Brooks came home to tie things up at 2. Dillon Champion & Joseph Gossett drew walks to load the bases, still with one out. With a 1-1 count to Wyatt Gooch, a wild pitch was sent to the backstop and Lawrence came in to give the Dragons a 3-2 win. This is a big win for Pickens. After leaving a total of 11 runners on base, they found a way to score when it mattered. With the win, the Dragons are now 10-5 on the season & 3-1 in region play. 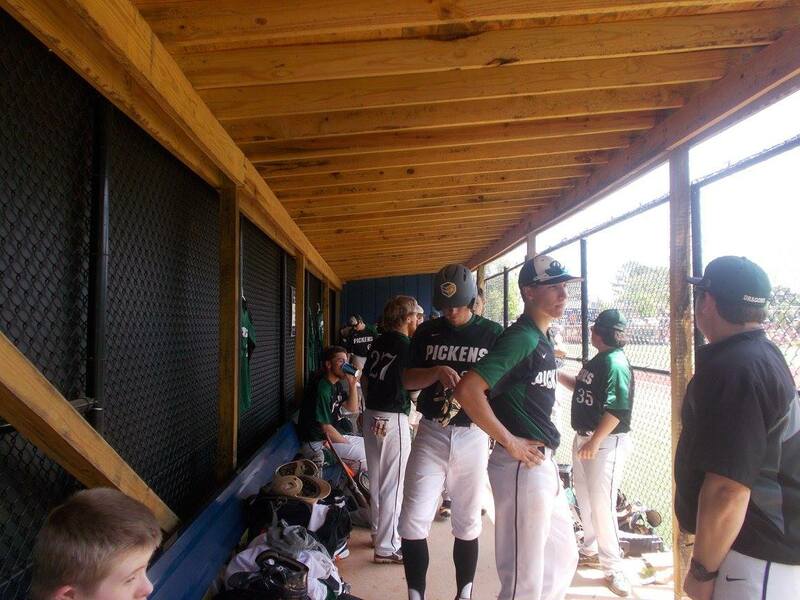 Pickens will host a pair of region games next week, starting with Northwest Whitfield on Tuesday. First pitch is scheduled for 5:55. Next Article » Mary Kay Bacallao Republican Candidate for Georgia U.S. Senate "Your vote can send her to D.C. to protect the people of Georgia from an out of control federal government"
Last night, the PHS Basketball program celebrated their seasons with their end of the year banquet. Coaches talked about the good things during the season, the growth of the players, & sang happy birthday to the birthday girl, Nettes’ varsity head coach Donna Enis. The cheerleaders were up first to celebrate their season and recognize everyone that helped them throughout the year. After the cheerleaders were given their certificates, it was girls JV coach Jenna Shaw’s turn as she talked about her teams season. She had several freshman and young girls on the roster and sees great potential in the girls. Next up, was coach Beckham for the C-team (9th grade), while they did not win a game during the season, coach Beckham was very encouraged by the progress they made during the year. After the C-Team, it was JV boys coach Bo Page’s turn to recognize his team and their season. He acknowledged his team for improving during the season and for helping the Varsity prepare for their games. It would be the Dragonettes turn to be recognized as coach Enis shared her thoughts on the season. She noted that while she had a young team, she was thrilled how they came together to be just one game shy of having back to back state tournament appearances. Sophomore Mackenzie Hampton was recognized as an All-region player and Madison McClure, Ashley Nelson, & Autumn Young were recognized as Honorable Mentions for the All-Region team. Sophomore Shelby Cook took home the Biscuit Award given to the girl who drew the most charges. Ashley Nelson received the Academic Award for having the highest GPA on the team. Kaitlin Redman then was awarded the Most Improved Award. The Offensive Player went to Mackenzie Hampton while the Defensive Player went to Madison McClure. The Coach Pruitt Award went to Taylor Wigington. Ashley Nelson was rewarded with the Sierra Stephens Heart of a Dragon Award & Madison McClure received the Sierra Stephens Memorial Scholarship. The MVP went to Autumn Young. Last but not least, varsity boys coach Brad Steinhauer came up to the podium to talk about his team. He mentioned winning two games in one day to reach the state tournament and beating rival Gilmer four times in one season. Holden Roop was recognized as All-Region for the Dragons & Trent Rizoti received All-Region Honorable Mention. Both players will be playing in the N. Ga All Star game on Thursday. Sam Davis was awarded the Defensive Player award while Holden Roop got the Offensive Player award. Winner of the Academic Award was Avery Luke for having the team high GPA. The Best Rebounder Award went to Trent Rizoti. Tyler Garner took home the Jennings Key Memorial Award. The RJ Casey Spirit Award went to Joseph Gossett. The Heart of a Dragon Award went to Walker Lawrence. The Stephen Ledford Memorial Award went to DJ Walden. The Final award of the night was the MVP Award and was given to Holden Roop. It was a great night celebrating everyone that had a part in making this season of PHS Basketball successful. Both teams have a lot of young talent and the future is bright for both the Nettes’ & Dragons.